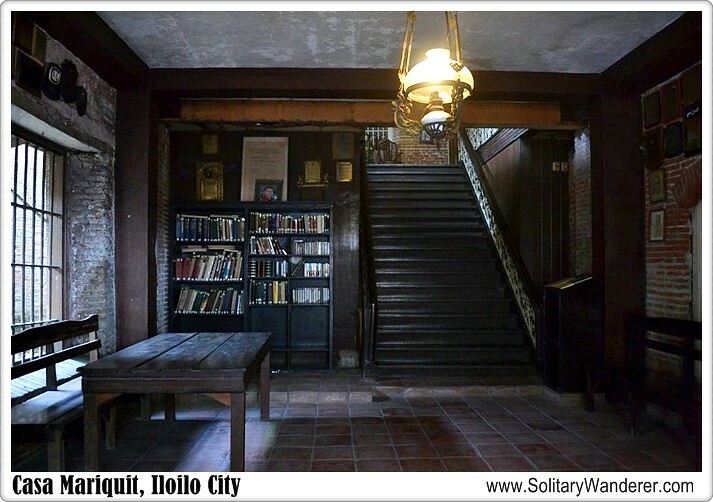 From food trips and a tour of their cultural heritage, there are so many things you can do in Iloilo City that spending a few days there definitely isn’t enough. I can’t believe I haven’t made it to Panay until this year. The island, comprising the provinces of Aklan, Antique, Capiz, and Iloilo, turned out to be full of surprises. I loved it so much that just over a month after the Blog the City of Love Campaign was done, I booked another ticket back to the island. 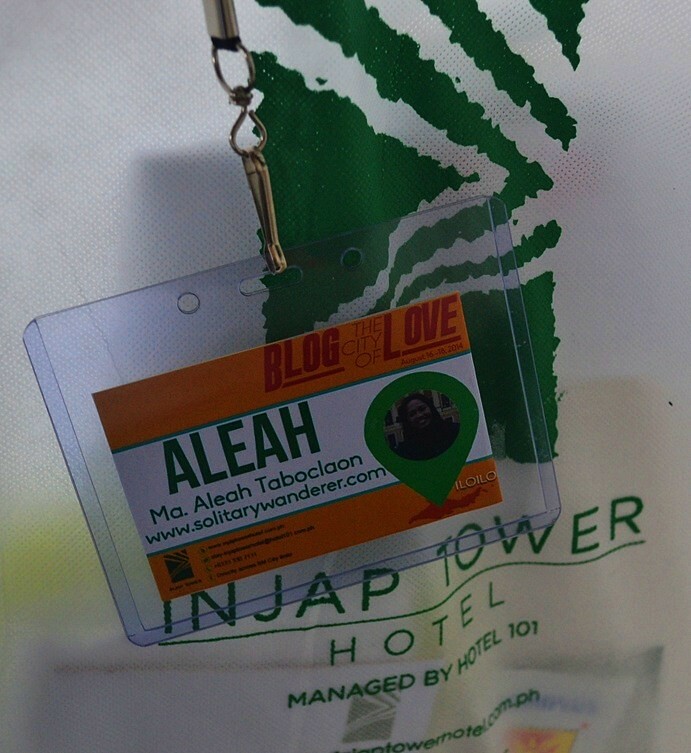 Thanks to the sponsorship of Injap Tower Hotel, I (together with other blogger participants) was able to appreciate all of Iloilo’s charms, not just its food which I’d heard a lot of, but more importantly, its cultural heritage that it has managed to preserve through the years. 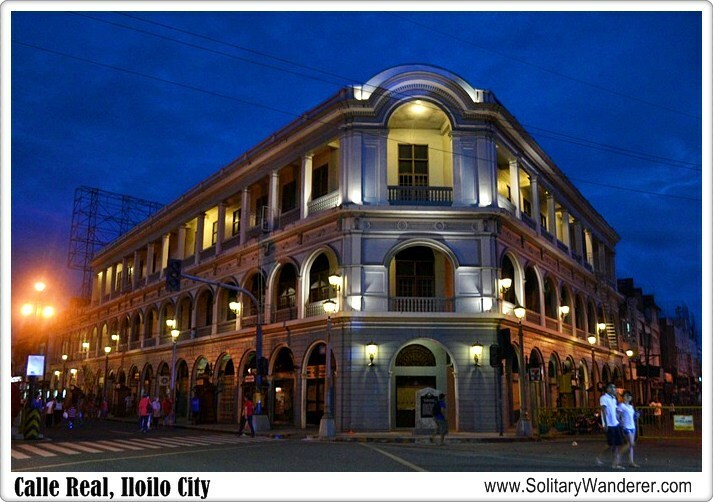 There are so many things to do in Iloilo. If you should ever find yourself here, the following are just some of my suggestions in the City of Love. While the province of Iloilo has a LOT of old churches that are worth checking out, there’s one in the city itself that you should visit. The Jaro Cathedral, originally built in 1874, has an additional distinction aside from its age. The image of Our Lady of the Candles is displayed on the front facade. It’s reportedly the only Marian figure in the Philippines being canonically crowned by the late Pope John Paul II. Devotees say that Our Lady grants wishes. While not exactly religious, I paid homage to Our Lady when we were there. Wishes or no, I was just grateful to have arrived in Iloilo safe and sound. 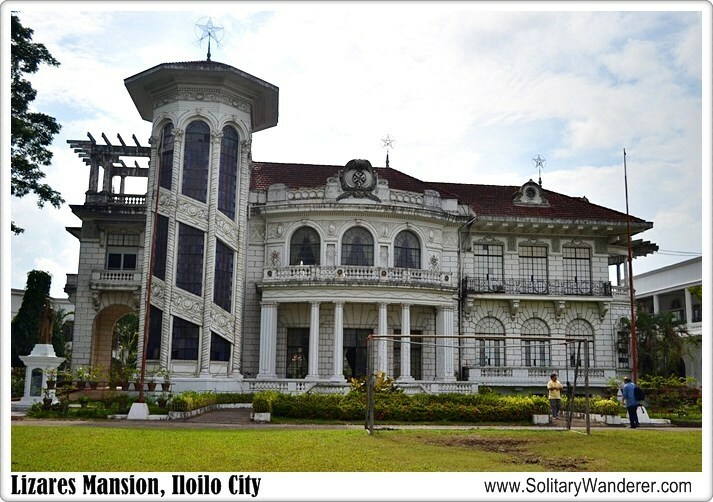 When the sugar industry was at its peak, a lot of families in Iloilo became ultra-rich. Their wealth were reflected on their houses, and some of these old mansions and ancestral homes still exist today. Two of such homes we visited were the Lizares Mansion and Casa Mariquit. The Lizares Mansion, now a property of the Angelicum School, was built in 1937 by Don Emiliano Lizares for his family. See how big and imposing it is? It’s even grander inside, and it just shows the luxurious life of the sugar barons in their day. Unfortunately, World War II came and the family had to leave it to seek refuge in another town. The Japanese used the mansion as their headquarters and reportedly tortured, killed, and buried Filipino prisoners of war in the basement. Locals tell of it being haunted, of hearing things that go bump in the night and of seeing people that weren’t really there. According to the priest, though, such manifestations don’t bother them. They got the property at a huge discount and turned it into a chapel. I would have loved to see the upstairs rooms; unfortunately, the huge winding staircase was closed to the public. I didn’t see the basement, too. The priest said it got filled up with sand, silt, and clay when typhoons battered the city. Another old house in Iloilo is the 200-year-old Casa Mariquit, the house built for Mariquit Javellana Lopez by her father Ramon Javellana. Despite its age, it’s still very well-maintained, with the hardwood floors scrubbed, chandeliers polished, and the paintings and other memorabilia kept clean. I loved the staircase, as well as the old mirror in the second floor. What must it be like to be a member of such a wealthy family? 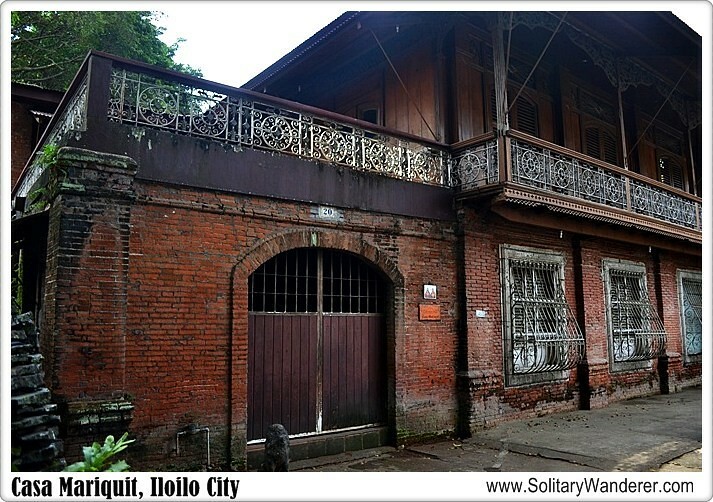 This ancestral home, located along Isabel St. in Jaro, is one of the few in Iloilo that are open to the public. The caretaker lives in the house behind it; when you get there, just go to the back and he will let you in. Admission: Php50/person. Trivia: Doña Mariquit was the wife of Fernando Lopez, the former Vice President of the Philippines for three terms! 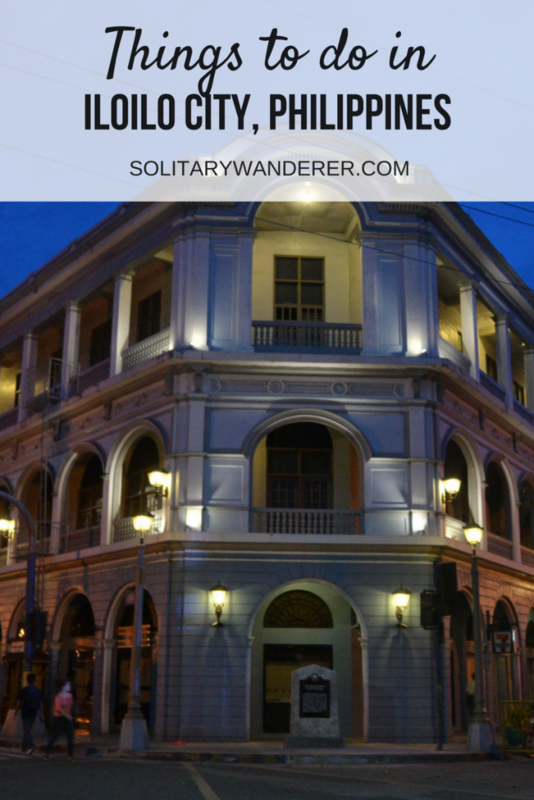 Calle Real, Iloilo’s heritage street, is a beautiful stretch of restored old establishments that are still being used to this day. If you look closely, you can see the year the buildings were built right on the front facade of each structure. It really makes me happy to see governments restoring rather than destroying heritage sites. If that street were in Manila, all the buildings would probably have been torn down already to make way for more SM malls or condominiums. The best time to walk around Calle Real is on Sundays, when it’s closed to vehicular traffic from 3-9pm. 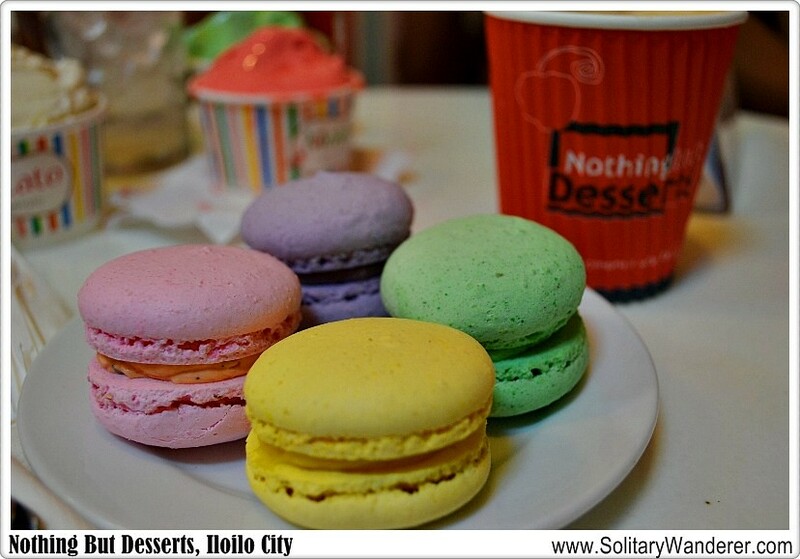 All visits to Iloilo City should always begin and end with a food trip. If you feel like having Singaporean food, head to Horizon Café at Injap Tower Hotel. Their Chicken Hainanese is to die for. I also loved their version of cendol, ngoh hiang (pork rolls), and kopi. Plus, the view is priceless! 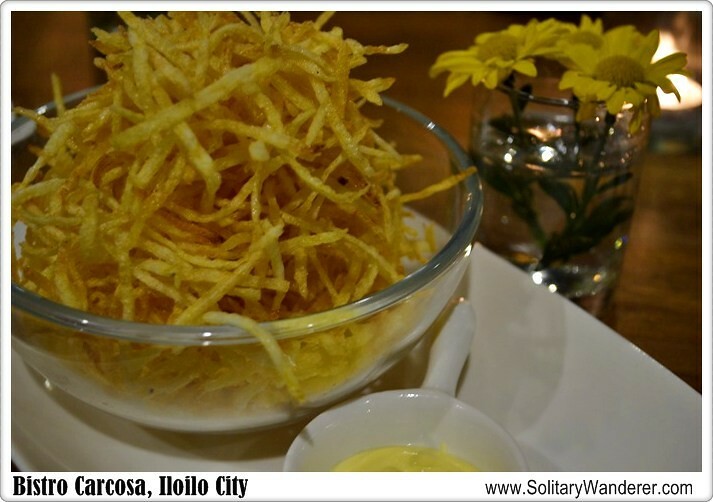 Another restaurant I liked was Bistro Carcosa in The Uptown Place. It has good views of the river–reportedly perfect for sunset viewing–but better yet, the food is excellent and affordable. I had the carnitas taco which was called a “snack.” With its size though (P90), it’s a meal in itself! For cheap, fresh seafood, videoke, and drinking, Villa Beach is the place to go. Locals have told me it’s not good to swim there, but it’s definitely recommended as a place to eat and enjoy the company of friends. 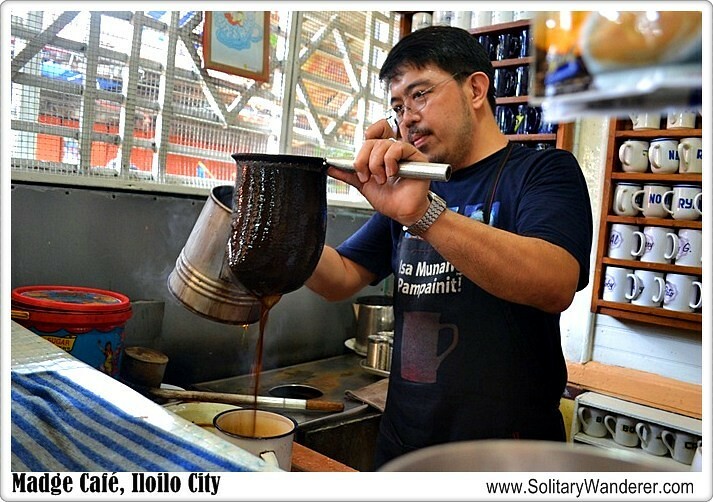 Want authentic Iloilo brewed coffee for only P25, served in a can? Head to Madge Café. No, it’s not another Starbucks-lookalike; it’s actually much better than any high-end coffee shop out there! True, it’s not air-conditioned, but nothing can beat the ambiance of Madge. It’s located inside the La Paz Public Market (ask where it is as you can’t see it from outside), and your coffee will be brewed the old-fashioned way as you watch. You will definitely not see any Keurig coffeemaker being used here, just old-fashioned straining. I would recommend ordering the strong coffee with milk. It was so delicious I had two! 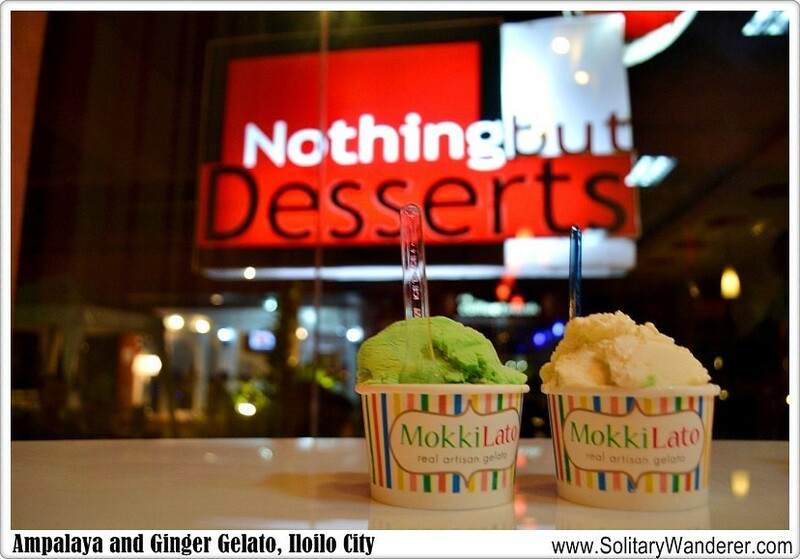 If, on the other hand, you want to be more adventurous with your food, have a taste of unique gelato flavors from Nothing But Desserts, located in Smallville, Iloilo’s center of nightlife. There are several flavors, all at P70 per cup, including Chili Gelato, Bittergourd (Ampalaya), and Ginger. They really taste like the real thing! Strawberry and Chocolate are available as well. I loved several offerings from Nothing but Desserts: the mango oatmeal cookie (P15), Buko Royale (P95), and Mango Mystic (P75). I can eat here several times without breaking the bank, and their brewed coffee is good, too. For me, no trip is complete without having a massage. I would highly recommend the Spa Circle at the 5th floor of Injap Tower Hotel. You would think it’s expensive, being located in a hotel, right? An hour of my favorite massage, though–a combination of Thai (stretching) and Swedish (oil)–only cost P400. Definitely a steal. 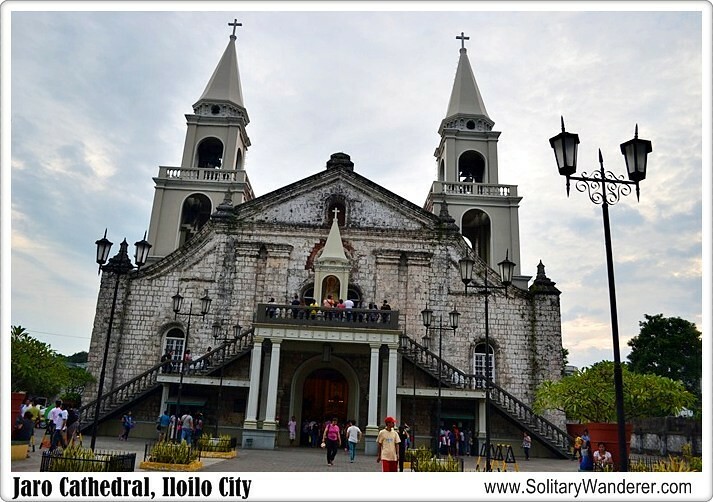 I only spent three days in Iloilo, a very short time given the number of things you can do there. (If you ask me, it really should be included in the top tourist destinations in the Philippines.) I’m really looking forward to going back and experiencing more of what the City of Love can offer! Going to Iloilo soon? 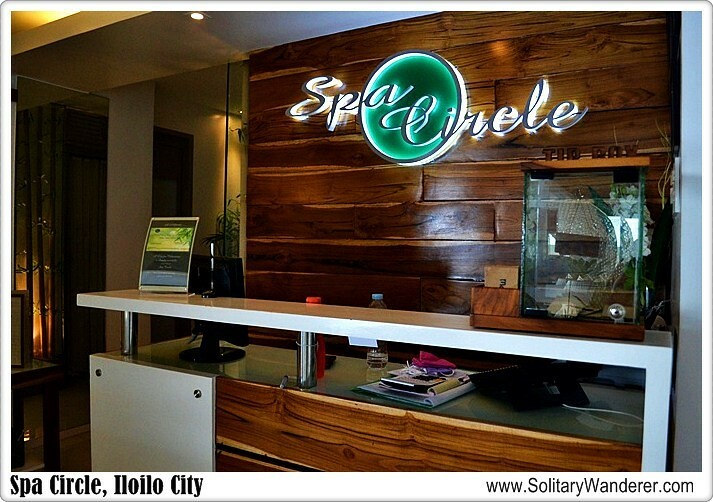 Find hotels in Iloilo here. Disclaimer: While I was a guest of Injap Tower Hotel as a participant of the Blog the City of Love Campaign from 16-18 August 2014, all opinions in this post are mine alone. 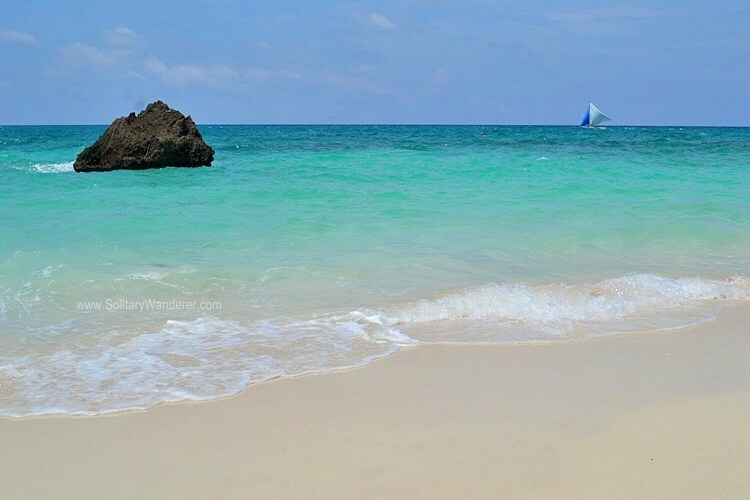 Is Boracay for Solo Travelers? Still remember me? One of your classmates in high school. So happy to see your blog. Helped me a lot in planning our trip to Ilo-ilo City this December 2015. Miss you girl and God bless. Hope to see you sometime. 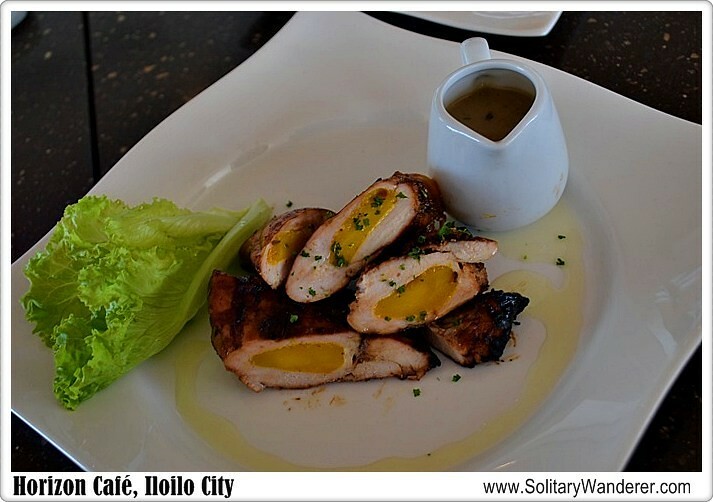 I would not really recommend Horizon cafe to anyone I know if I want them to have a good food trip experience in Iloilo, all they would get there is a good view, thats it, the food and service is bad plus it’s pretty expensive tbh it’s not really worth your money.. there’s alot more restaurants which offer quality food and experience like Breakthrough in Villa or Tatoys, Afriques, Ramboys (liempo) and Peppy Thai etc. 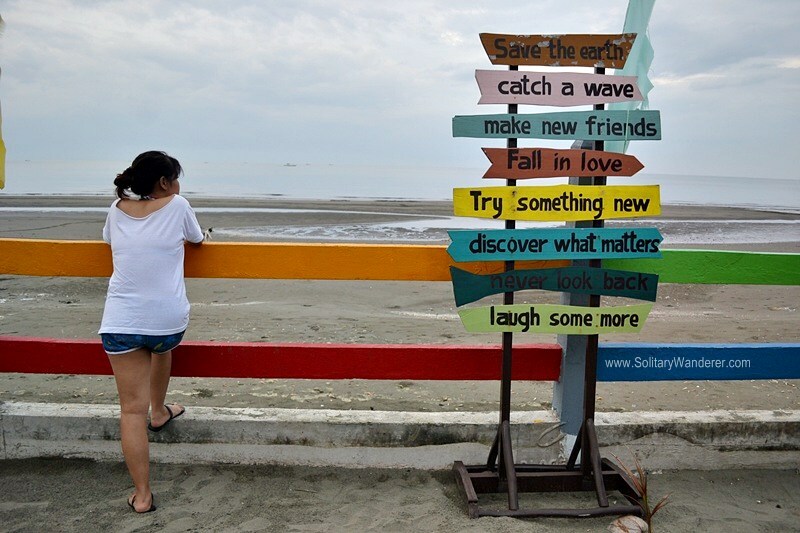 I stumbled upon your blog while reading about solo traveling & I love it! Your website is amazing! I’m glad you had the chance to visit Iloilo. There are many more places for you to explore here. So if you have the time, come over again and enjoy everything Iloilo. I also love the photos of the places you’ve been to.These photos are memories to last you a lifetime. The places you have been to and are going to see need not be forgotten. I can’t wait to read more about your travels and view your wonderful photos. Hi Aleah, although my father’s family originated from Iloilo, I’m sad to say that I have not been. I’ve been wanting to go and the things you have shown here inspire me to do so even more. I love the mansions. They’re crazy amazing. I was also thinking what it must have been like to be so super rich then. But most of all, I’m so heartened to learn that the local government is preserving heritage sites. One thing that saddens me about a lot of places in the Phils is the lack of sense of preservation. As for the food, SOLD! Thanks for the lovely post. 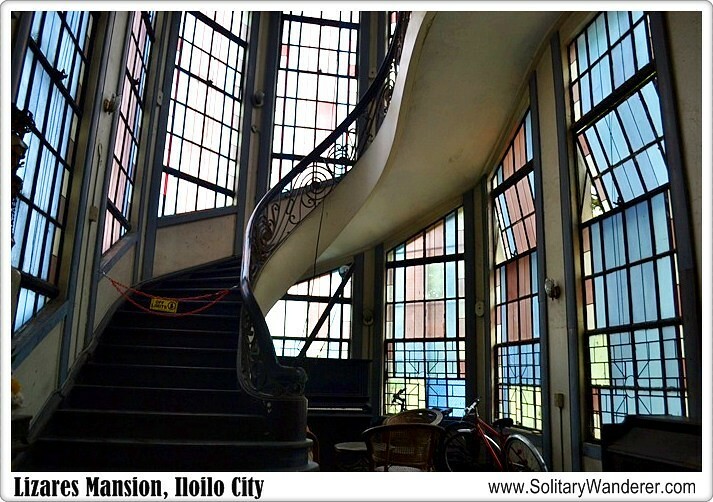 Wow – there’s so much to see and do in the Philippines and Iloilo is a city that I’ve never heard of but that I’d love to visit when in the country. I can definitely relate to what you said about being grateful that Calle Real isn’t in Manila or else it would’ve been overdeveloped by now. Jave and I were just talking about that yesterday on our drive home in relation to state and national parks. Glad that there are protected places so that tourists and locals alike can appreciate them to the fullest. I am so loving Panay now. Hope to go back again and again. There’s so much to see there. Massage, that’s what is calling me. The Philippines offers so much to the visitor, no matter what island one chooses to go. Someday, I hope to see as much as I can of my home country. 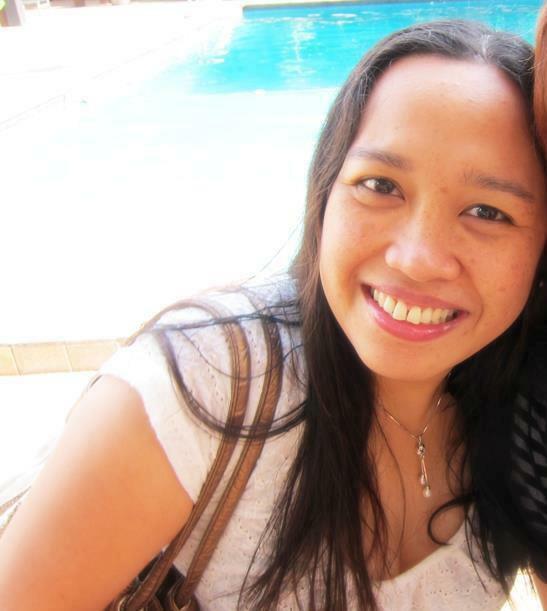 I really love Iloilo, we stayed there for two days, and really had fun, the Korean foods, night life was great. I agree about the nightlife. You can go to Villa Beach, or Esplanade, or Smallville! Of course, of course. Lots more posts to follow. I love Iloilo/Panay! Visit Tatoy’s Manokan for their Lechon Manok, Lechon Baboy and Baked Talaba, or Breakthrough Restaurant for their seafood menu! It’s along Villa Beach. Thanks for the recommendation! We went to Annie’s, but the server wasn’t so friendly. 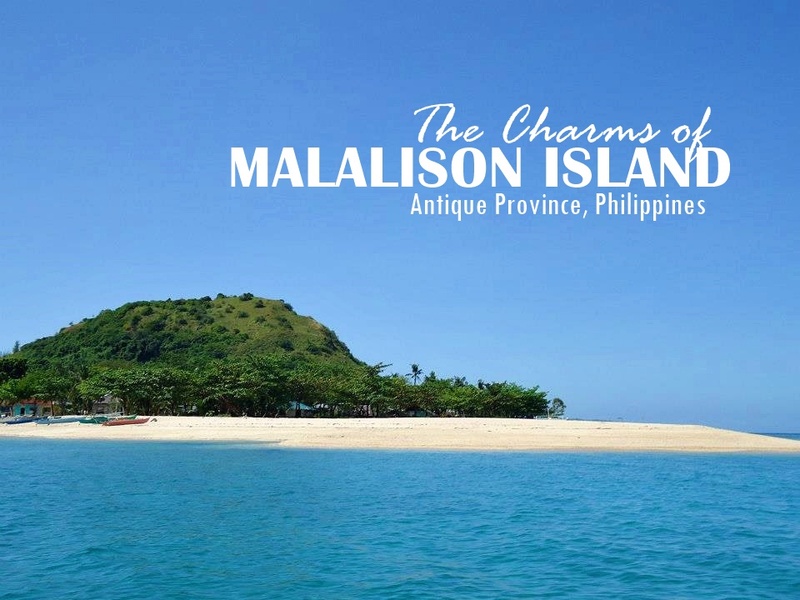 I have been to Philippines but hadn’t heard of this place! So ignorant I was. Nisha! If you’re arriving in Manila, and not, say in Cebu or Davao, I would love to meet you. Provided, of course, I’m in town. 🙂 Let me know! hi…. 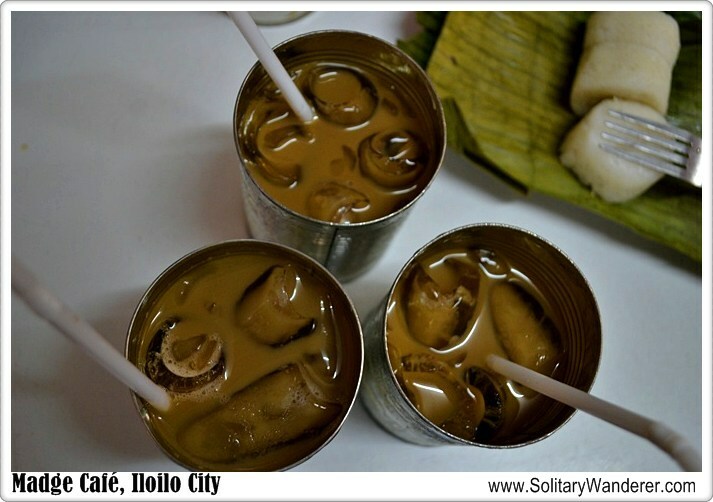 i am from Iloilo city, i am a pure ilongga…. 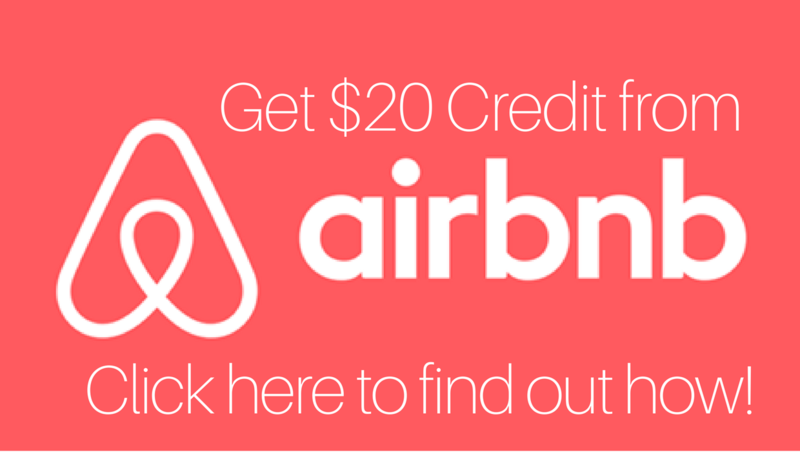 visit my place and for sure you will love it…. I had to read quite a bit before I could figure out which country you were in! It sounds amazing. @ Gaines: The Philippines, my country, is really beautiful. Come visit if you have a chance.